“She can see the line, she can see the history” – words of the commentator echoed as she swooshed the finishing line creating a record for the country and making it such a memorable event for all of us. Hima, proved once again that hard work has no substitute. However, her victory has not just bought her name and fame but also commercials. Hima Das didn’t just win the hearts but also made her own place in the league of eminent champions like Vijendra Singh, Mary Kom and so on. While she is dedicated to her game it is also vital for her to keep enhancing her value in the market. Being a sports persona requires a lot of off-field work too. That is exactly what we term as the business side of the sports. Commercialization of the sports includes multiple aspects such as product endorsements, enhancing the on and off camera presence of the athlete, dealing with sponsorship. Contemporarily, the business side of sports is sprawling. Ever since sports is garnering more viewership companies are witnessing profitability in handling the athletes and their presence. While the athlete is constantly busy in developing his/her game the key responsibility of a sports professional is to take care of the contracts, look for endorsements, handle commercials, and manage the presence and so on. 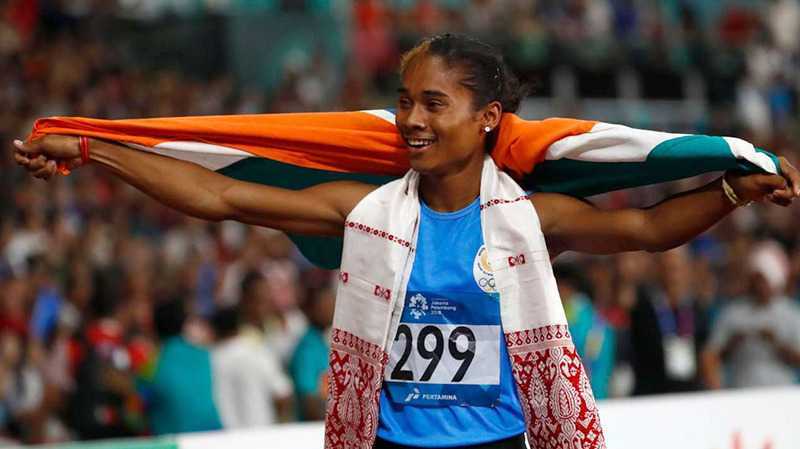 Recently, owing to the need of this hour Hima Das proudly signed a multi-crore two-year deal with sports management firm Infinity Optimal Solutions (IOS). India’s leading Sports and Entertainment Company. IOS is dedicated to building and managing world-renowned talent, and infrastructure. Motivated by their passion the team of professionals at IOS are putting their head and heart for sports and entertainment. Putting faith in her game Infinity Optimal Solutions the sports professionals are tirelessly standing behind her. As the country is developing in sports a lot of sports enthusiasts are emerging on the field. There is a dearth of professionals to manage their off-field activities. A lot many avenues of sports management is filled with loads of career opportunities that involve working closely with the athlete at strategic, managerial as well as executional level and bringing out the best.